2018 AVID graduates and staff from Logan High School gather to celebrate. 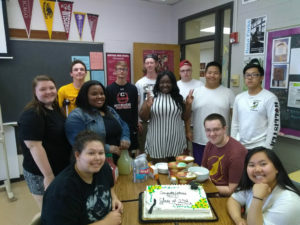 Some students from the 2018 Central AVID class celebrated their graduation. 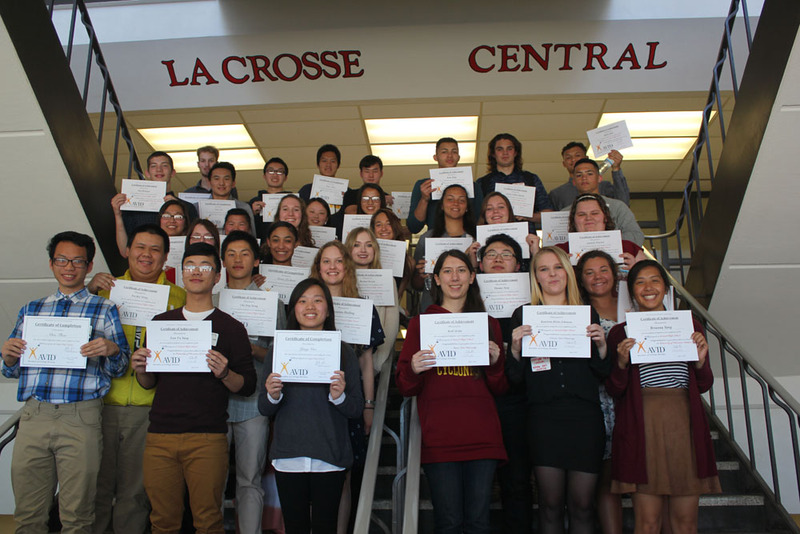 In May 2017, the first group of students to graduate from the AVID program at Central and Logan high schools gathered in the stairwell at Central to celebrate receiving their AVID completion certificates. Students in the AVID program in La Crosse high schools continue to fulfill their dreams of enrolling in college upon graduation. All 12 students who completed the AVID 12 program at Logan High School in 2018 have been accepted into the college programs of their choice. Eight will attend four-year colleges and the four remaining students have been accepted into Western Technical College (two of them have plans to transfer to UW-La Crosse after completing their associate’s degree). All of the 17 students completing AVID 12 at Central High School have enrolled in college. Nine will attend four-year colleges and eight have enrolled at Western Technical College. AVID, which stands for Advancement Via Individual Determination, is a college-readiness program funded through major support from the La Crosse Public Education Foundation. AVID students learn specific skills for use in other classes, including note-taking, reading, writing, inquiry, and critical thinking skills. They also participate in tutoring sessions that emphasize collaboration and group problem-solving. All AVID students are required to take advanced-placement classes and are exposed to colleges through campus visits and class presentations. They get help writing letters or essays, completing pre-college testing, and applying for financial aid. 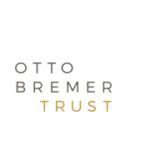 Major grant funding for AVID was provided by the Otto Bremer Trust. The program was phased in over three years, supported by about $230,000 in grants and other donations to LPEF. The 2018-19 school year will be the fifth year for the La Crosse program, which could eventually serve more than 200 students a year between the two high schools. AVID has a proven track record nationally in nearly 5,000 schools. The AVID program focuses on students in the academic middle – often those are students who don’t think about getting prepared for college until it’s too late. When compared to the overall student body at Central and Logan, AVID students are more likely to be students of color and more likely to be from low-income families with less family history of attending college. That fulfills a goal to reach students who are under-represented in college enrollment and graduation rates. Data continues to show AVID students have higher attendance rates and higher grade point averages than their non-AVID peers in La Crosse high schools. They take rigorous advanced placement courses at a higher rate than other students — all despite personal obstacles that many of them face. In 2017, 41 students involved in AVID graduated from La Crosse Central and Logan high schools. All planned to attend college, or join the military after graduation. 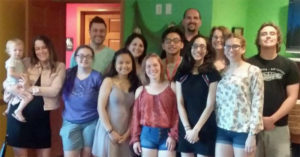 In all, 28 planned to attend four-year colleges, and 11 started at two-year colleges, some with the intention of transferring later to a four-year college. A year later, most are sticking with their plans. 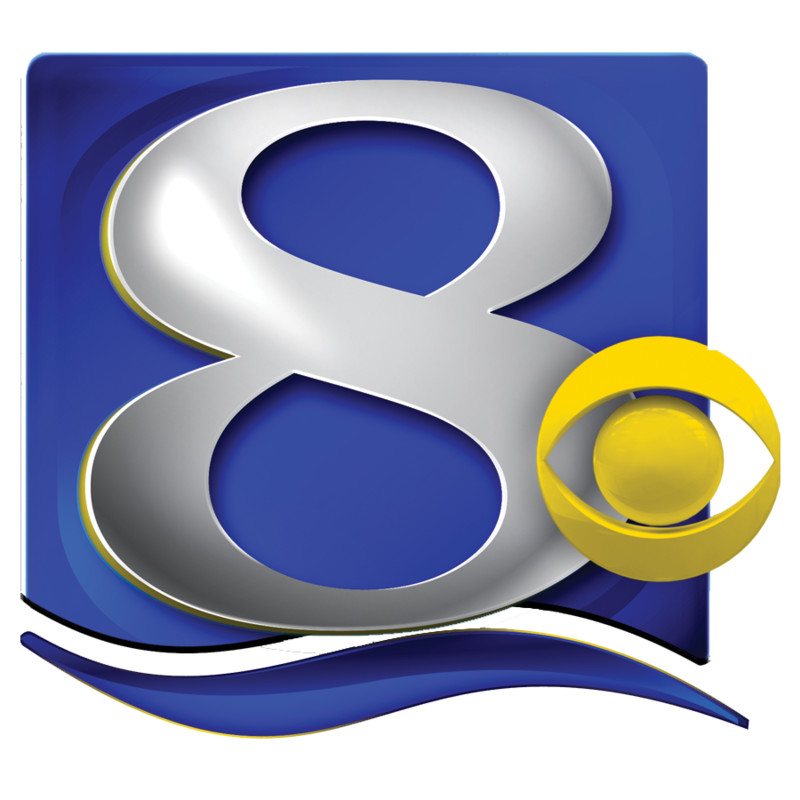 Central High reports all but two of the 2017 graduates intend to return for their second year of college in the fall of 2018. At Logan High, 10 of the 11 students who could be reached intended to continue schooling; six could not be reached. Nationally, roughly one-third of first-year college students drop out within the first year, so this group of AVID graduates appears to be doing much better than average. The majority of these students are the first in their families to go to college.